You can become a First Mate, backing up the Skipper while on board. Helping to organize the cruises is a good opportunity to meet new friends. 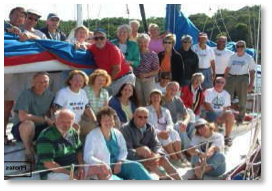 First Mates have been important members, assisting in the teaching of sailing and procedures for newer members. Having experience and the additional skills needed, our First Mates are knowledgeable, helpful and friendly.